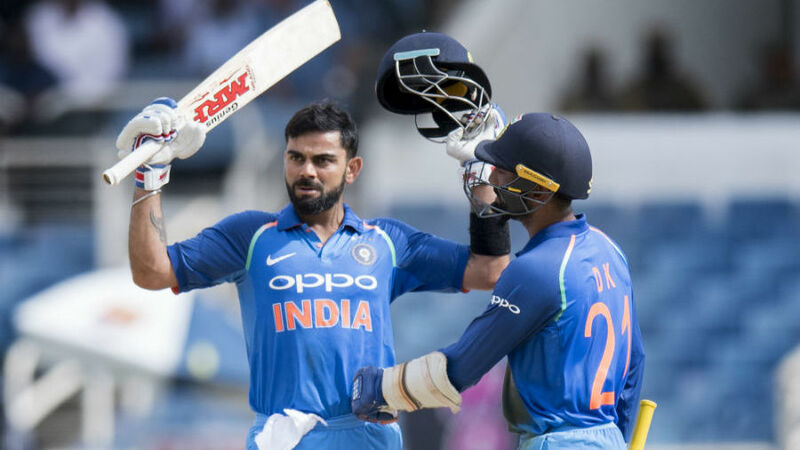 Normal service resumed in the West Indies as the hosts' batsmen failed again - this time on a much better batting surface - and India chased 206 down with relative ease to seal the series 3-1. Just like India seem wired to score around 300 no matter the situation or conditions, the number seems to be 200 for them. They got away with 189 in the last match, but on a pitch that the ball came on to the bat, their inability to score freely off the spinners - 76 runs in 24 overs - consigned them to defeat. In the chase, Virat Kohli overcame his recent short-ball trouble by choosing to tide over the barrage as opposed to hooking everything. He now has more hundreds in ODI chases than anybody else - 18.